Island paradise: Anantara Medjumbe Resort & Spa is located in the Quirimbas Archipelago off the northern coast of Mozambique. To truly get away from it all, luxuriate in the crystal waters off the Mozambique coast. Romantic getaways don't come more dreamy – or exotic – than this. 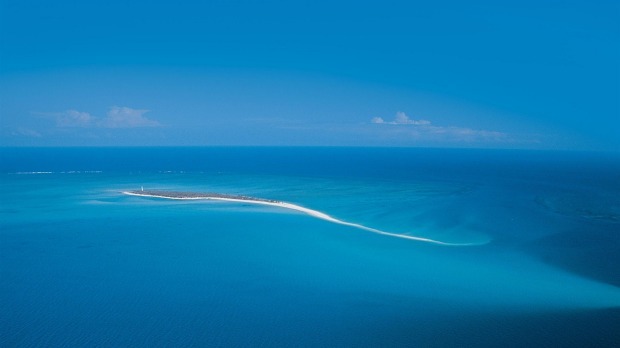 The new adults-only Anantara Medjumbe Resort &Spa is on a one-kilometre-long private island in the heavenly Quirimbas Archipelago off the coast of Mozambique. The 12 glam-rustic villas facing the epitome of ocean serenity are designed to be the best in barefoot luxury. Each has a plunge pool and deck with hammock affording mesmerising views. They are accompanied by beautiful common areas offering high-end cuisine and spa experiences. But it's the environment that is the real star here. This is a truly unspoiled part of the world and one not known to a lot of Australians. Corruption, drought, civil war and complicated visa requirements have kept the south-east African country of Mozambique largely off the tourist trail, despite its proximity to popular South Africa, and despite incredible history and natural beauty. In recent times, however, the government has recognised the value of tourism to its economy and has done much to encourage it, including declaring the Quirimbas Archipelago a protected national park. 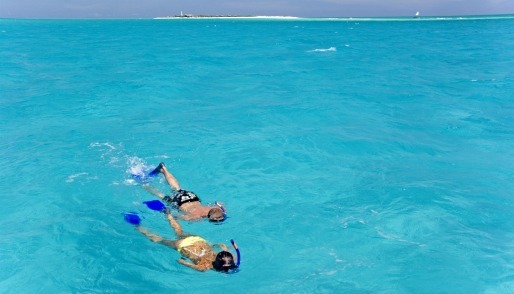 Crystal clear: The Indian Ocean here is unspoiled. The archipelago comprises 27 coral islands in a string along the country's northern coastline and is the Indian Ocean at its best, with sparkling white sand under stunningly aqua waters Many of the islands have never been developed butothers were trading posts for the Portuguese who ruled here for centuries. Frommer's says, "These northern isles have a sleepy, spellbinding charm – it's like stepping back hundreds of years into an Africa of ancient mosques and colonial architecture. The islands have some of the richest, most pristine coral reefs in the world, and the government is taking great pains to oversee all tourism initiatives." Rates at Anantara Medjumbe Resort and Spa cover all meals, house alcohol and non-motorised water sports. The resort offers additional activities including spa treatments and picnics on uninhabited islands. There's whale-watching mid-July to mid-October. Opening specials start at $649. See medjumbe.anantara.com. It's the environment that is the real star here.